Last Friday's BA Airbus A319 emergency was created because maintenance staff carrying out overnight post-engineering checks and aircrew carrying out pre-flight walkaround checks failed to spot that the engine cowling latches had not been secured. As an ex-BA engineering staff, I find this news reportage as per the BBC website and now on BBC's R4, quite alarming, not to say what the potential could have been with a severed fuel pipe. Thank heavens plane and pax landed safely back at EGLL. wow.... How easy is it to miss unsecured cowling latches on an Airbus? I have watched many a pilot do a walk-around, and have always asked myself - surely you could not have confirmed "so & so" is secured just by a quick glance.... BTW - I am not trying to judge here. Just want to understand. This topic has been moved from "MS FSX Forum" to "Hangar Chat". This move has been done for a number of possible reasons. The offical AAIB bulletin has a picture. The problem is that, on the V2500 engine, the cowls are not a perfect fit. Even with the cowls in the locked position often a portion for the front edge of the cowl can be seen behind the nacelle covering. It used to be a part of the walk round check to have a look at the cowl latches. They protrude downward when viewed from the front. Personally I found it easier to see them from the wing tip looking at the side profile of the aircraft. Later, when tighter and tighter turn around times were introduced, the responsibility for checking the latches was given solely to the maintenance teams. A mistake in my opinion and I always used to check them. Obviously some of my colleagues don't. But then, they are not 'required' to. I also check the cowl latches on the RR Trent and the GE engines on the 777 I now fly. Just habit I guess. The latches are an engineering 'do' and 'check' item so there are supposed to be two people in the loop. One who closes the latches and one who checks and countersigns the latches have been closed. Even painting them a different colour won't help unless the crews crouch down and specifically check them. For that to happen they need to be included in the pilots walk round check items again. It was just unfortunate that these were missed by so many people, the holes in the cheese lined up on this event. Don't forget that there are hundreds of shorthaul airbus flights a day out of T5 and this was one incident albeit a televised dramatic one (from a spectators view). 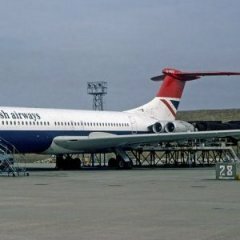 Amazing revelations by an airline captain right now on BBC's Radio 5 Live with reference to pressures from his airline hierarchy regarding saving fuel; how he would not let his children fly on aircraft unless he knew who the captian was; his concerns for some of the practices within that airline. All this follows the Nolan Show discussing that BA A319 incident. Interview also included that BA capt whose 747 plummeted over Java in that volcanic ash incident. Worth hearing it as a podcast. 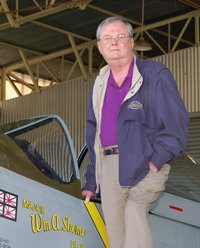 He did not disclose the airline but Nolan in a post-interview comment told his listeners it was a major airline and the Capt('Andy') was a short-haul pilot. Told listeners how if his flight was at 5am, it meant he had to be at the airport at 3am even though he was not on duty so it was unpaid, and how fatigue was a factor. Also made an oblique reference to that well-publicised US pilots who dozed off and went past their landing airport by miles. But his main beef was with the pressures he and his fellow-Capts had from above with fuel. I guarantee every captain that heard about this story will be triple checking their cowlings before every flight in the foreseeable future. Then, 6 months, or 2 years, or 5 years down the line it will become lax again until the next accident. Firstly, in BA, its the Pilot Flying (PF) who does the walk round, this could be either the Captain or the First Officer. Secondly, although airmanship dictates that the cowl latches should be given a visual inspection, it was discovered years ago, during route checks, that checking them was being overlooked. As a result of this the decision was made to turn the responsibility over to Engineering and made the cowl securing a 'carded' routine. That meaning that one engineer has to close the cowls and the latches, sign for closing them and then another engineer has to check the latches and sign for them as well. Sadly, in this case, it didn't happen. During the walk round, with a torch (the only 'tool' we are allowed to carry), I inspect what I can. I am not allowed to open panels or inspection hatches (can't even reach them on a 777). Bearing that in mind I must be able to trust the engineers when they tell me that the checks have been carried out correctly. Same as I don't, personally, guide every catering and baggage truck to the side of the aircraft just in case they dent it. They guys lost an engine due to a fuel leak and fire then performed a well flown and, from what I hear in the company, a text book single engine approach and landing. Just a sad conclusion to a chain of preventable events played out for dramatization by the media. The interview quoted above was not from BA. BA do not, nor have they ever, placed pressure on their pilots with regard to carrying extra fuel. If I want X tonnes extra then I take X tonnes extra, simple as that. Single engine taxi is something that many operators do, nothing new. The problem with the A319/320 is the PTU is damn loud from the cabin and can freak some passengers out. Now what is strange about your experience is why they didnt use the yellow hydraulic pump? That is standard procedure, even with Easy jet. Don't want to second guess the flight crew however it is bizarre that they would put the PTU under strain like that and allow it to bark all the way to runway. Btw, they would add extra fuel for any additional pax or baggage, single engine taxi saves a small amount of fuel, the gain comes from operating a large fleet, the combined savings of all the aircraft performing a single engine taxi adds up to a large saving. Single engine taxi out to the runway is something that has been looked at for a long time. Primary brakes are powered from the Green hydraulic, supplied by the left engine. Yellow hydraulics provide alternate braking. The green system also provides nose wheel steering. Therefore the philosophy was (when I was on the bus) to shut down the right hand engine on taxi in and allow the PTU to cross power the Yellow system. Shutting down the left engine left you with the potential problem of loosing your brakes and nose wheel steering in the event of a PTU failure. As for using the electrical pump on the yellow system this was frowned upon as the possibility exists that the pump might be forgotten in the high workload environment of departures leading to double pumping on the yellow system and the possibility of pressure waving. Thus the PTU was considered more than adequate on the ground. Even if it does bark like an enraged Rottweiler! Taxying out on one engine is a dubious money saver as many airports where Easy operate have little or no delay for departing traffic the minimum engine warm up prior to application of take off thrust negates the necessity to taxi on one engine. Chatting to the engineers a fair few years ago we were discussing why our company doesn't do it at LHR as the taxy times can be long. The engineers stated that the wear on the engine by application of T/O thrust before the necessary 5 minutes warm up was off the scale and had a seriously detrimental effect on the engines lifetime. Single engine taxy in is standard. Good points Greg, single engine taxi in is much more common, especially since the aircraft is already much lighter. Single engine taxi out can cause a host of problems. ALERT----that pilot is on air tonight on BBC's Radio 5 Live's Stephen Nolan Show after the football coverage from Rio de Janeiro is over. With that program a mere 40 mins from its end, and still no sign of the follow-up to Capt 'Andy's' revelations last night on the BBC R5 Live Stephen Nolan Show as had been promised, wish I had not bought Nolan's pre-Show bait-dangler hype instead of wasting my time listening with bated breath for more revelations.